Here a some of the features built into Song of Songs. Simple to use for your service volunteers. 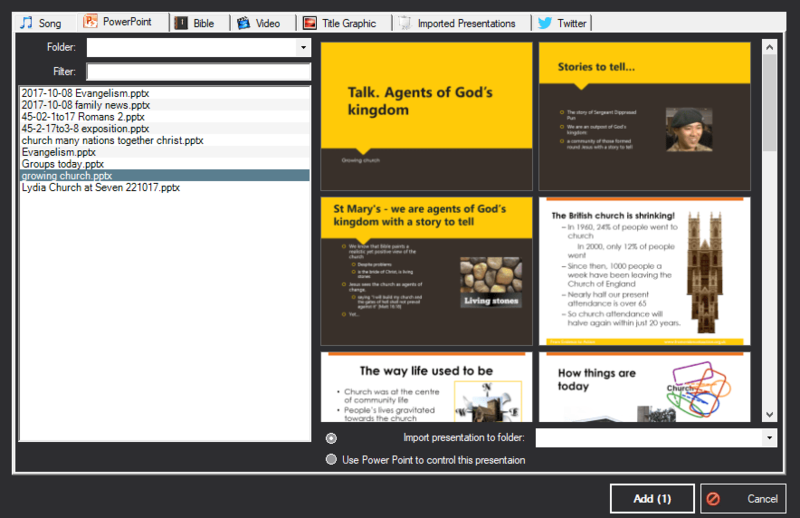 Remote control for use on a phone or tablet for whoever is presenting or leading worship. 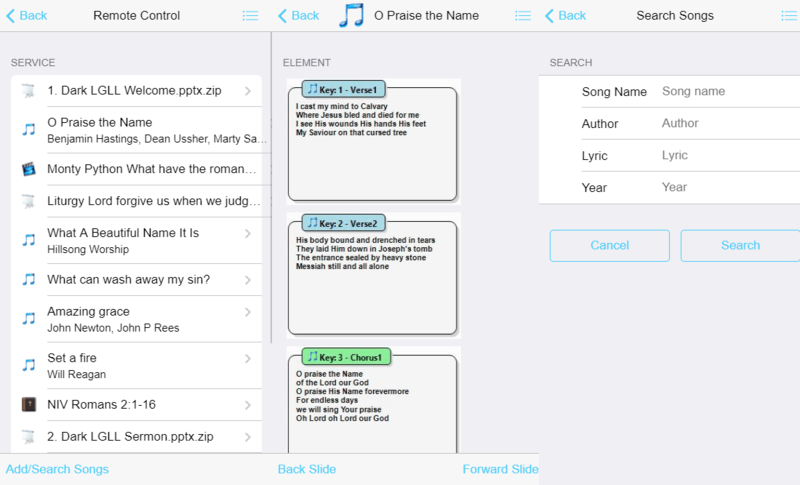 Build a song library quickly. Query it, know who is using which songs and when they were last used. 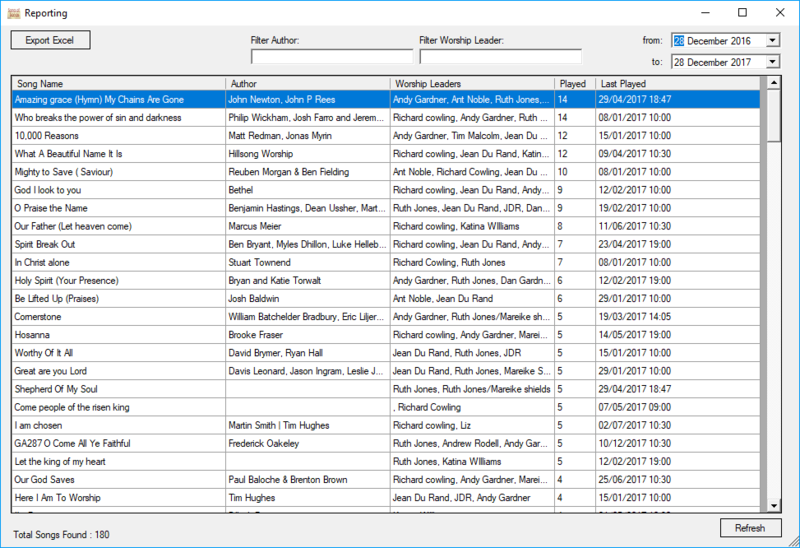 Build and save your service, and collaborate everything with a team, sharing data using Dropbox, Google Drive or any cloud storage provider . Import your existing song library, from Media Shout, Open LP, using Open Song format, or using your digital version of song of fellowship. Countdown to the start of your service so everyone knows it’s about to start. Download and import videos from YouTube. Off line Bibles versions including KJV, NLT, The Message, NIV, ESV and more. Show live Tweets during your Service. 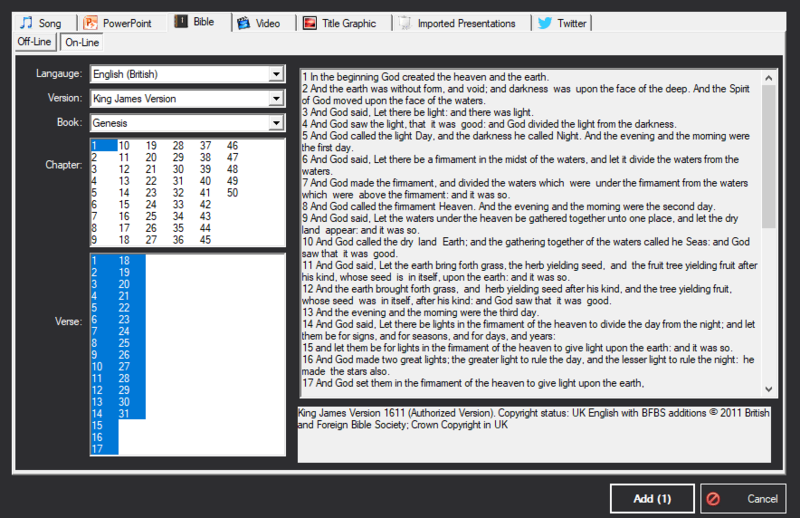 Choose from over 300+ Bibles in 200+ Languages. 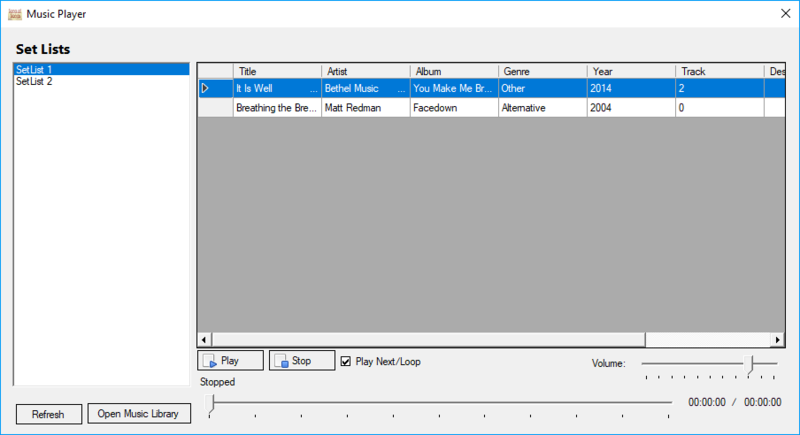 Music player with built in, with set lists. 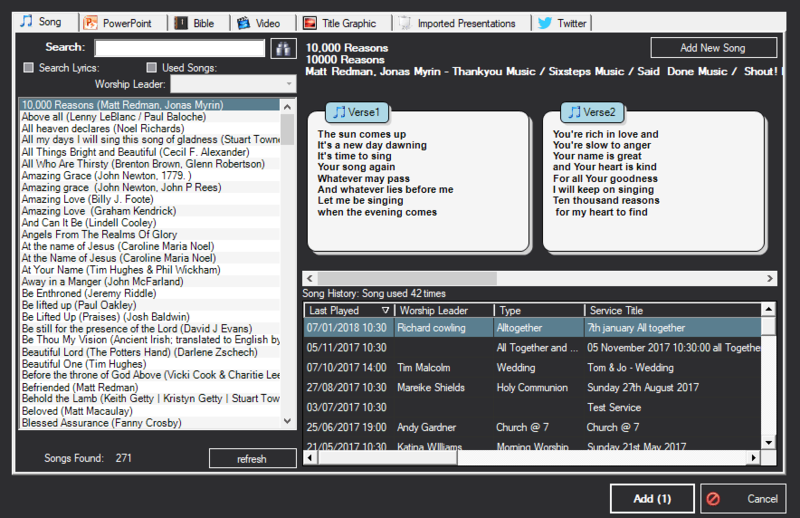 Import your Song Library from MediaShout, EasyWorship, OpenLP, Songs of Fellowship and Open Lyrics, with more importers as requested. 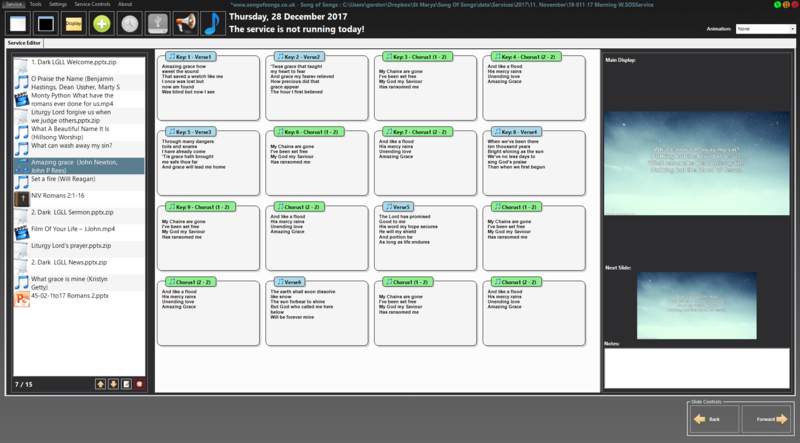 Use a Stage Monitor to help the leaders/speakers and musicians know what’s coming up next. 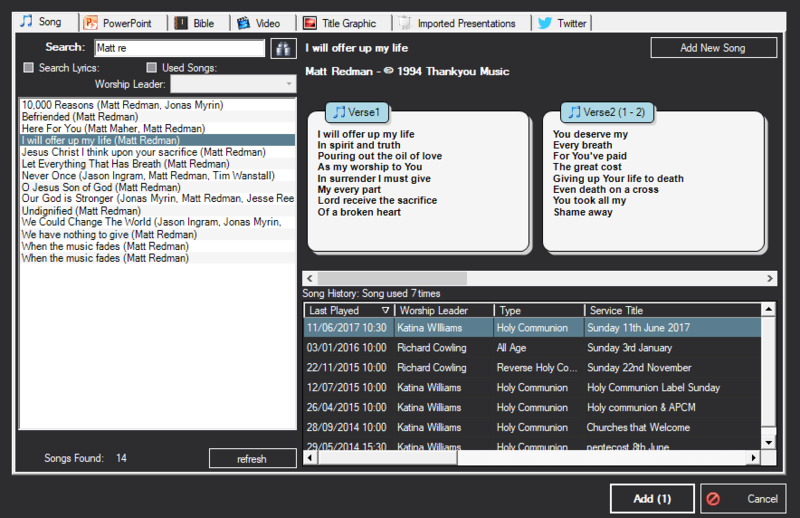 Integrate Song of Songs to OBS Studio to help live steam your service. Get updates automatically as they are released. Play over 200 different Video formats. Multilingual Support for 22 Languages. Video overlay of Text (with extra hardware). Easily manage your song Library.